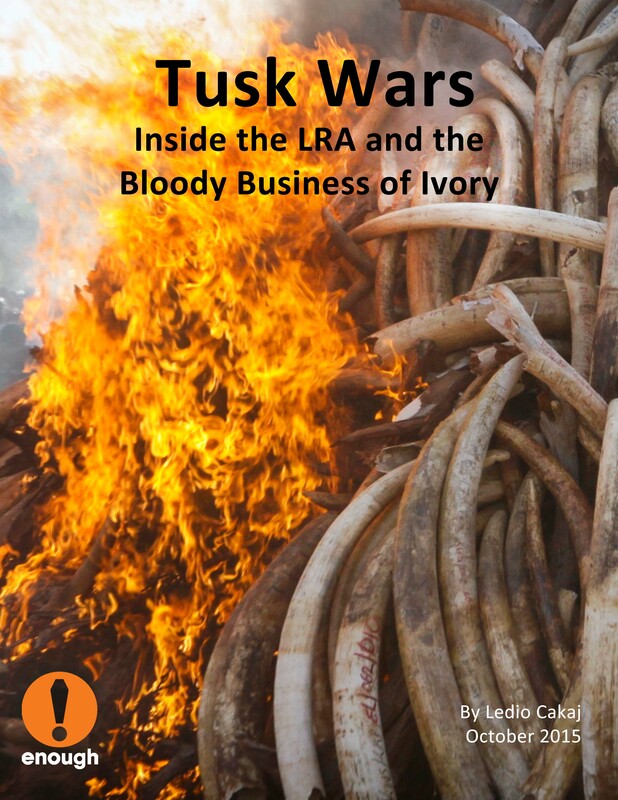 Today, the Enough Project released our newest report Tusk Wars: Inside the LRA and the Bloody Business of Ivory which tracks how ivory trafficking funds LRA operations and perpetuates violence against civilians. The report uncovers new evidence of ivory trafficking into Sudan, including testimony by ex-LRA members of transactions with Sudanese merchants, as well as alleged trade with Sudan Armed Forces officers. For additional recommendations and more information, read the “Tusk Wars” report. Write to and call your Representative in Congress to request that they co-sponsor the Global Anti-Poaching Act, H.R. 2494. Write to your Members of Congress in both the House of Representatives and the Senate to urge them to support the counter-LRA Resolutions, H. Res 394 and S. Res. 237.